they are the transformed into a durable fabric, made by hand. 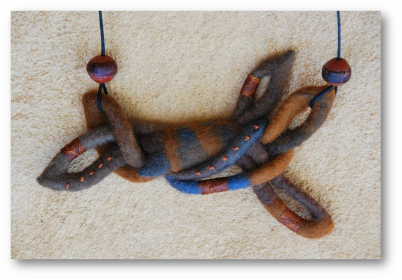 Throughout the years, my sense of curiosity and excitement when making felt is undiminished. the importance of the very process of making. and ideas that evolve in a hands-on fashion. Making felt engages my whole being; it suits my fold.